Get this game of fun which combines skill and chance! 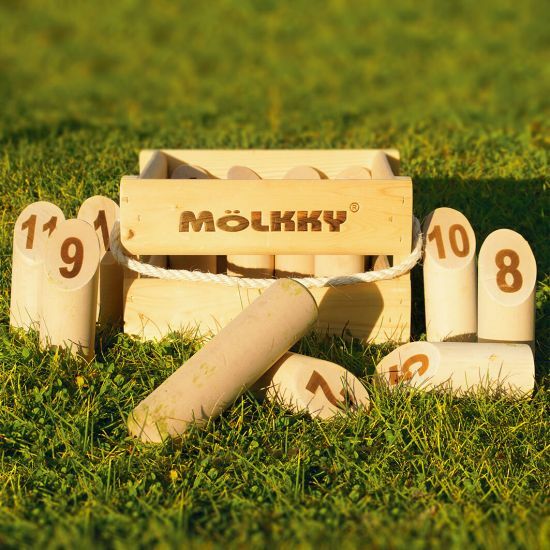 Set the Molkky pins in formation and throw the Molkky skittle. The aim of the game is to throw the skittle with skill that you knock down only enough pins to score exactly 50 points! You must be careful though because if you knock down more than 50 points then your score is automatically halved to 25 points! This luxury family fun game is packed into a sturdy wooden box, easily portable - take with you on holiday, to parties and family get-togethers.